dotART cultural association through Exhibit Around platform together with Trieste Photo Days festival, launches a new open call for the project Short Street Stories. We are looking for street photographers to participate with single photos and/or projects/portfolios with a humorous and satirical look at contemporary society. The lesson to be inspired is Martin Parr‘s (or the one of In-Public, Un-posed and Burn My Eye collectives): “anthropological” photography with an ironic slant, able to tell through a new perspective the modern world, social differences and changes in progress. The best photos and series will converge in a prestigious photographic volume and will create a series of “short street stories”. The volume will be presented during the Trieste Photo Days opening weekend (end of October 2019). A selection of the best photos will become part of a big international collective exhibition, which will always be held within the festival. 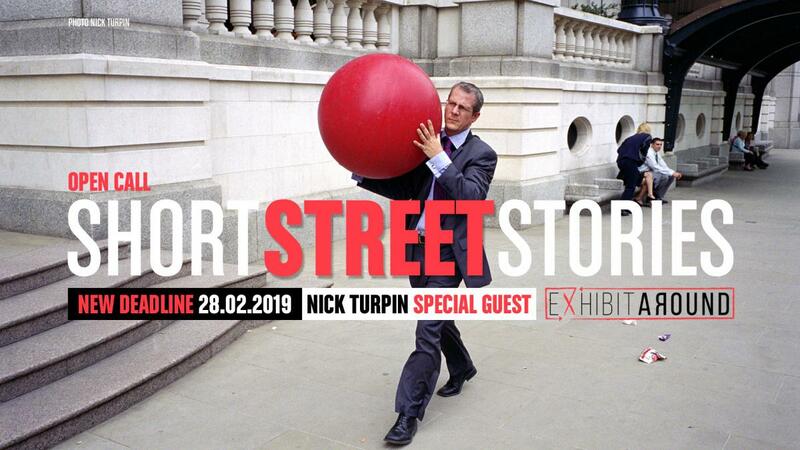 The project’s special guest will be British photographer Nick Turpin! Not surprisingly, Martin Parr and Nick Turpin will be the main guests of the 2019 edition of Trieste Photo Days and Short Street Stories wants to be a small tribute to their sardonic style. Short Street Stories is the third original project signed Exhibit Around and follows the success of Urban & Human Empathy (2017) and Flowing City (2018), which gathered respectively 49 and 69 photographers from around the world. The call is open til February 28th, 2019.